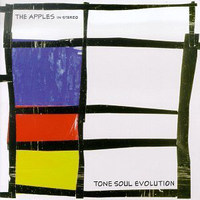 Apples in Stereo - "What's the #?" Listen to "What's the #"
So I was at the Apples in Stereo concert last Saturday. I was standing around and this bookish man (covered with a hat, glasses, scarf, and layers and layers of clothing!) he asked me, "Hey, is that an Avengers T-shirt?". I told him, yes, and challenged him to guessing who the artist is. 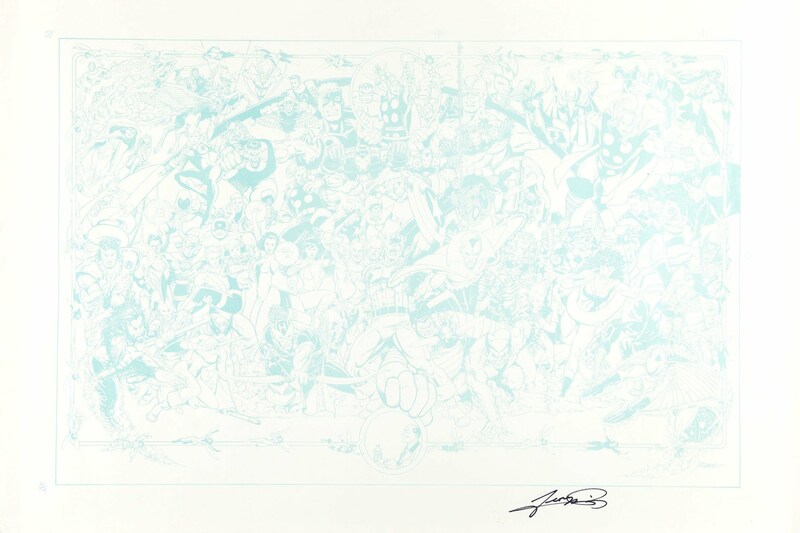 So I told him it was George Perez, and then we got into a conversation about DC and Marvel comics. It was pretty nerdy. So after a while, I asked him, "Hey, what's your name?" Turns out, he's Robert Schneider, singer and songwriter of Apples in Stereo. The song I have picked out is from one of their old albums, because I have not had a chance to listen to the new one, "New Magnetic Wonder", which was released a few weeks ago. "I'll see you around, up and downtown. What's your name now? I'll write it down." As for the concert, they did manage to do "What's the #" on their encore, as you can see on the setlist. The very last song was not Ruby, it was "Tidal Wave", from Fun Trick Noisemaker (and Science Faire). Trivia: John Dufilho, from the Deathray Davies is now the drummer for Apples in Stereo, replacing Hilarie Sidney (the only girl in the band). Bonus: More pictures of the show on Flickr at Brody and Steve. You can also download Toronto (20 Feb 2007) and read about Chicago (23 Feb 2007). I was shopping at Wal-Mart today and I saw that they had the Avengers Sunburst T-Shirt (available only in blue) in a variety of sizes, ranging from Small to Extra Large for $9.99. I picked up a shirt, it looks pretty awesome, except that the yellow on blue does not show up very well. Some interesting notes, the T-Shirt co-partner is Mad Engine. 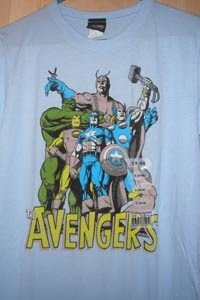 Their website does not list this Avengers T-Shirt. If you do not live near a Wal-Mart and would like me to pick you up one, just send me an email.